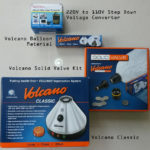 The Volcano vaporizer is the gold champion of vaporizers and a favorite among experienced users. 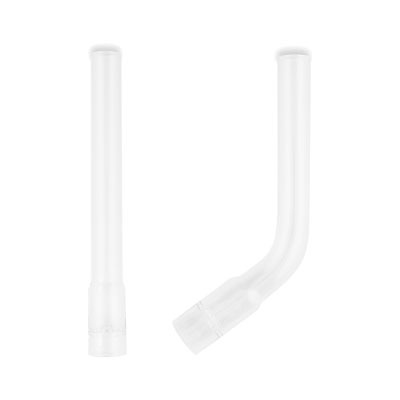 Its simple and reliable design, efficiency, vapor quality and production is unmatched. 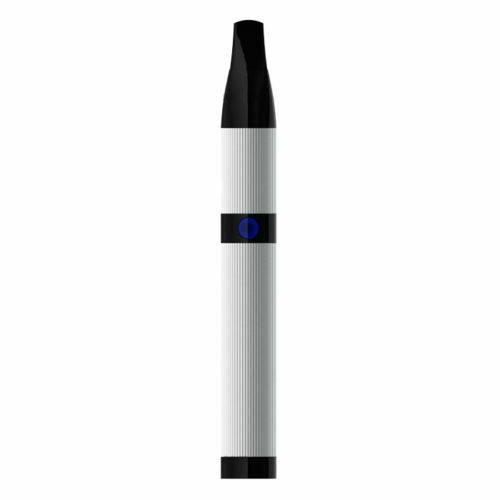 With the twist of a button you can go from light vapor to thick full clouds. 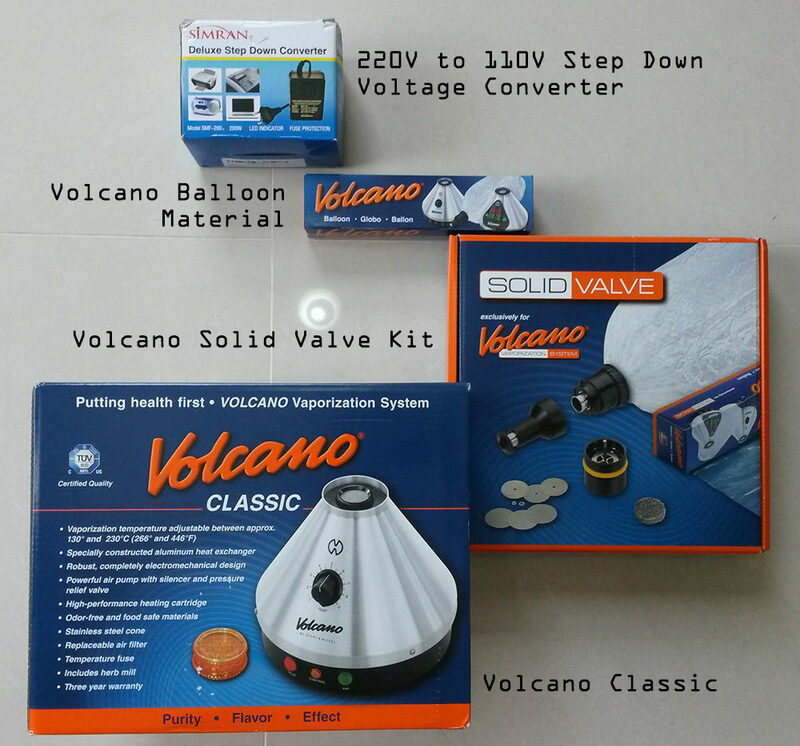 Even the smallest amount can be vaporized several times making the Volcano a very economical choice. 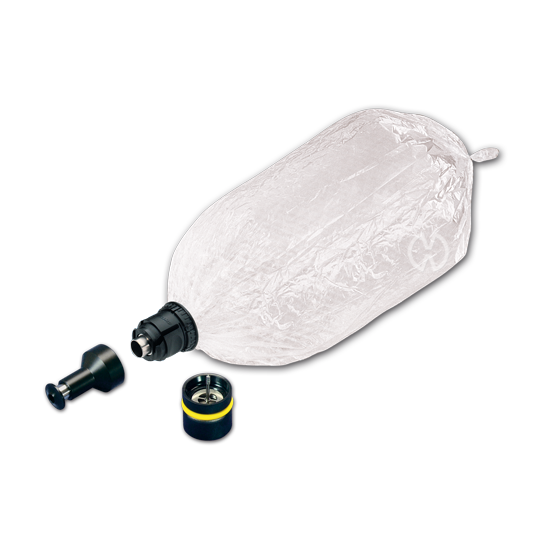 The Storz & Bickel Volcano vaporizer is the industry leading vaporizer available on the market today. 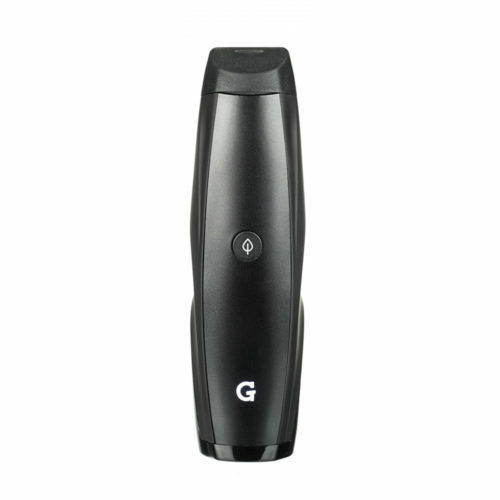 It produces the highest quality and quantity vapor and is often used as the benchmark device which other vaporizers strive to live up to. 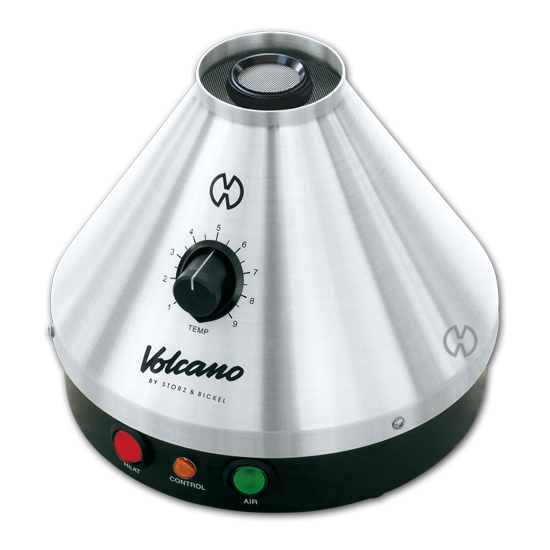 The Storz & Bickel Volcano works by sucking in fresh, filtered air and heating it up to your preferred vaporization temperature. The hot air is then forced through your aromatherapy blend causing the natural flavors to be released. 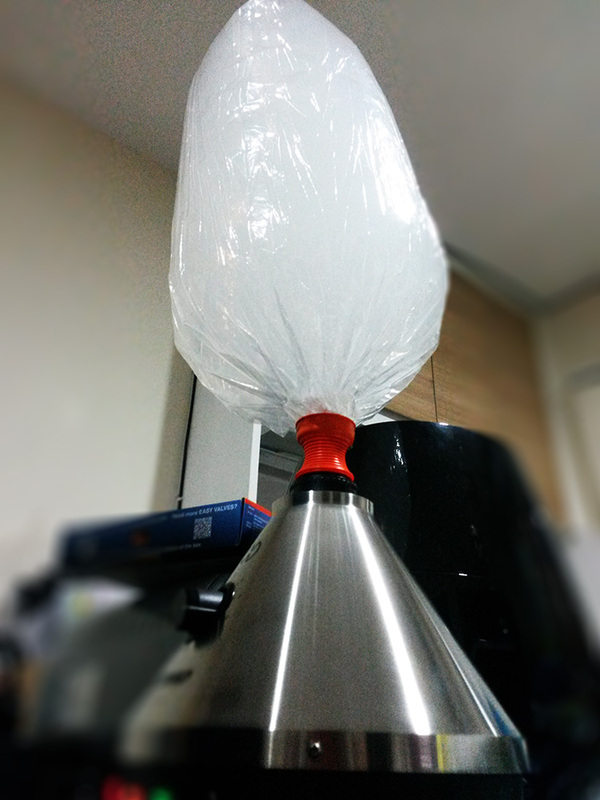 The vapor is collected in the famous bag which sits on top of the Volcano. 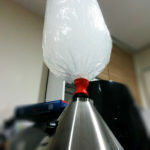 Once the bag is full of vapor, turn off the volcano and start enjoying your flavorful vapor. The Volcano DIGIT uses a digital display and buttons to adjust the temperature. The digital temperature display shows the preferred heat and the volcano’s current air temperature. 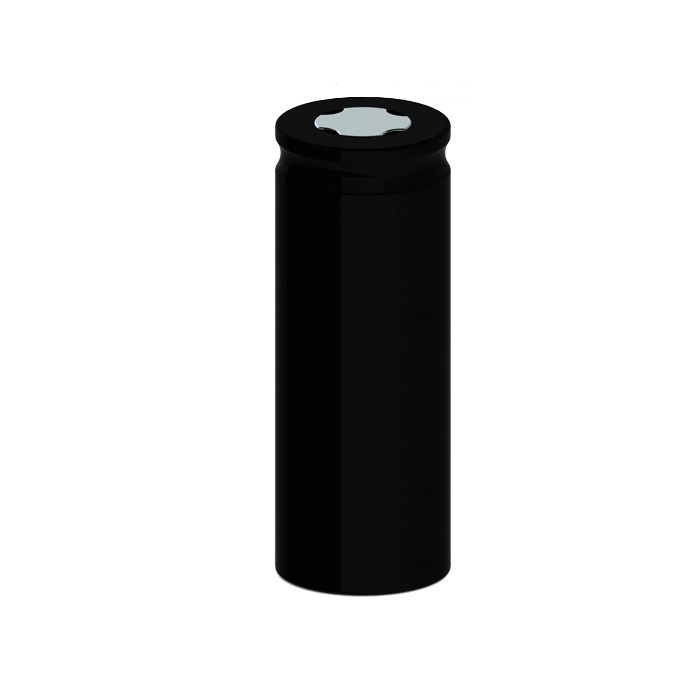 Simple temperature control buttons adjust your Volcano from 104°F – 446°F (40°C – 230°C). 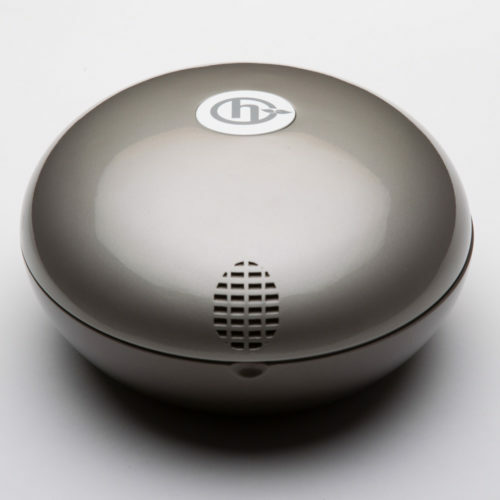 The Digit’s automatic shutoff timer turns off your unit after 30 minutes of non-use. 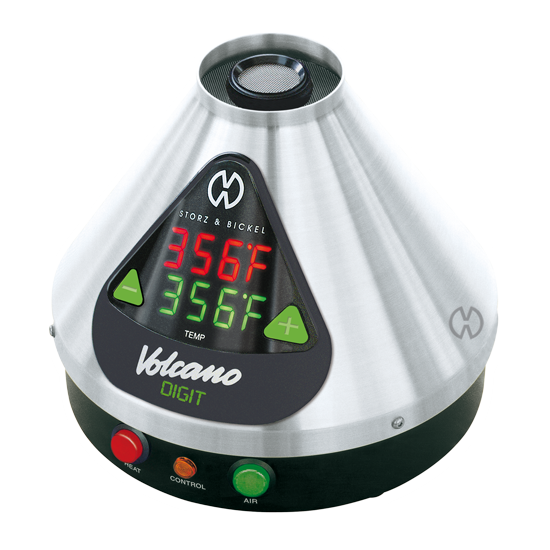 The Volcano Classic functions identical to the DIGIT and features the same level of quality and craftsmanship, but doesn’t have automatic shutoff and uses an analog dial for setting the temperature instead of a digital display. Adjust the temperature from 266°F – 446°F (130°C – 230°C) by turning the dial to your preferred level. The Solid Valve lets you customize your own bag size and features a durable construction designed to last for your Volcano’s entire lifetime. Durable construction of stainless steel and heat resistant plastics. You choose the size of the balloon. Extra balloon material is fairly cheap. Replace balloon about every 2 months. 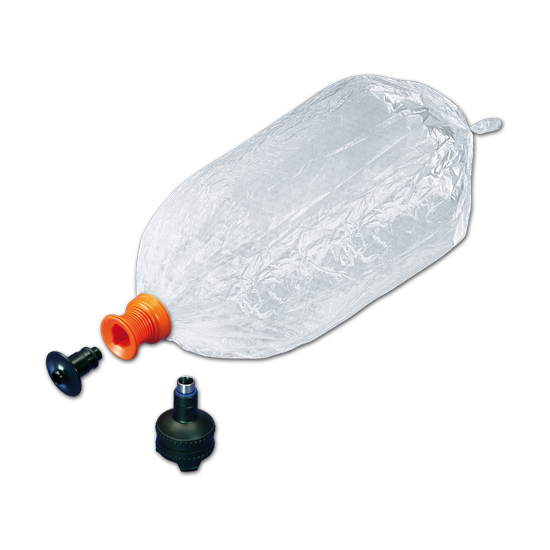 The Easy Valve features pre-cut Volcano bags and require minimum maintenance to start using your Storz & Bickel Volcano. 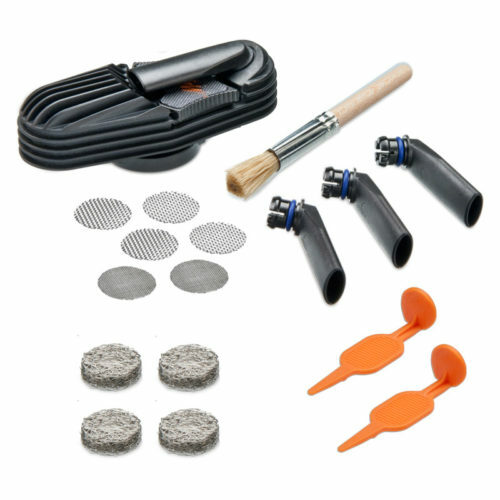 Maintenance free design – no cleaning – just toss and replace. One balloon lasts approximately 2 months. It took about 1 week to receive. 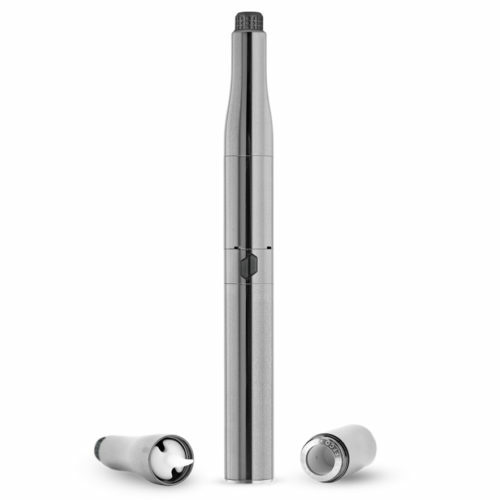 Great vapor production, excellent taste. 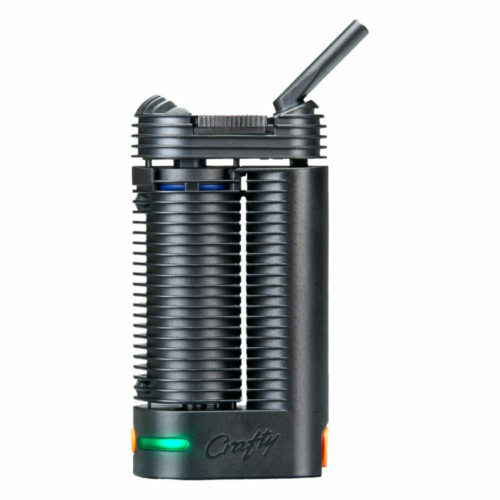 Easily the best vaporizer on the market. I was worried about the price but its totally worth if once you get it! Despite a slight delay, the Manager told me and kindly told me about this vaporizer. Received in 4 days, given Sunday (Bangkok). Best feelings, thanks! Will buy again. I have been medicating for over 24 years, and i can not believe myself what i am about to tell you. 1 bag of vape… well it was more like air with flavor to me but 1 bag of that … i was convinced. i came back to Asia and started to research. living over here for so long, order from the states or UK has been more bad than good experiences…. i really wanted to know was the vape really that good or was my friends medicine really that much better… but how to get one of those volcanoes? i started with a google search and came upon asiavape. i could not believe the could arrange anywhere in the world along with pick up etc… if in doubt, contact them!! Line, Facebook, Twitter… email.. via website… you name it… you will be served and served well. in short, ask them till you feel good. anything you want to know about vaping and ordering they will respond quickly, and politely, very informative. i immediately was convinced and placed my order. i have now had it for about 2 weeks. it saves me A LOT of medicine, and the effects BEST… Clean, … its like being a kid all over but without all the negative side affects that come from smoking. i have been a cigarette smoker for 20+ years and getting older, i really wanted to quit. i have nearly quit but was having major cravings after smoking my medicine. However i could not go without my medicine so as the doctor recommended i investigated the vaporizer. I feel SO MUCH BETTER as the vape is clean, does not irritate my nose or throat, i am AMAZED and VERY HAPPY with it. Also it does not make me crave the cigarettes and the past 2 weeks i have completely kicked it so its a plus plus. for those that smoke, and want to quit… this may do it.. and for those that want to medicate but never smoked, this option is for you too!! I am so happy with this machine and asiavape!! Thanks a lot! !